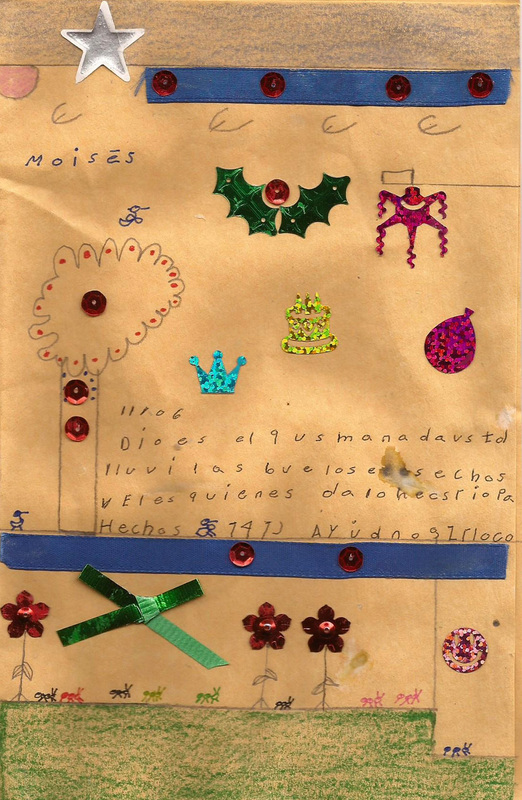 “I love Christmas because that is when baby Jesus is born, but also because that is when Alejandra comes to visit me. I love her very much because she was the one who brought me from Puebla to El Arca. Every Christmas she comes to visit me”. 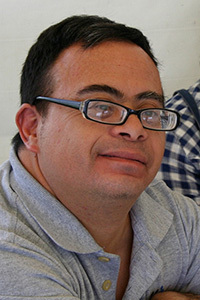 Moisés, also known as “Moy” is a person with Down syndrome. He arrived to “El Arca en Querétaro” in December 1999 as the first core member in our community. This year, Moy will turn 40 years old having lived 15 years in the community. He likes to copy texts, draw from nature, take photos, and film scenes from our celebrations in the community. Recently, he has become an avid “recycler”, gathering plastic bottles, aluminum cans, and cardboard from his surroundings to sell. He then buys some things for himself and others. He says that a person his age always needs some things. He likes to socialize with people from Santa Bárbara where he lives. He has a particular way to make sure nothing important is missing from the community, letting the person in charge know what needs to be purchased. Moisés is a big fan of Michael Jackson and enjoys dancing on his music; he brings a lot of life to our community!